I’ll show you how to create a bed that looks comfortable and chic with clean lines, crisp colors, and lots of visual interest. 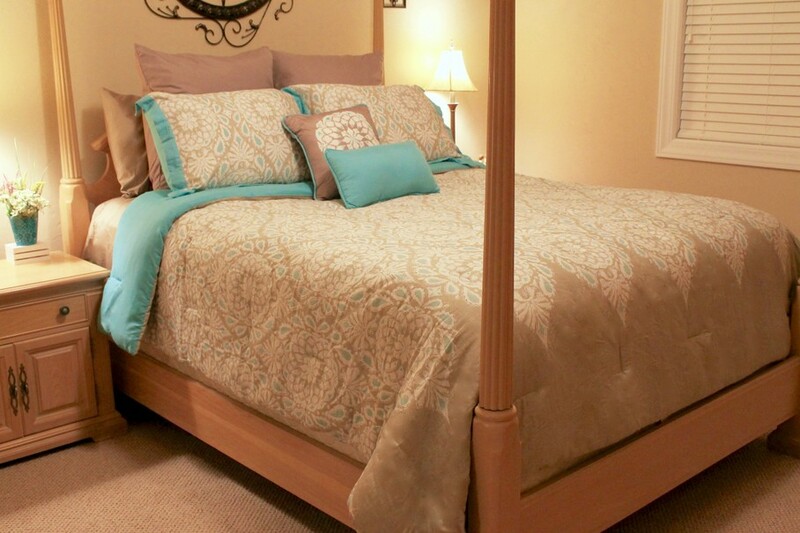 Here are three elements that, when used correctly, will make your bed the star of the show. The first order of business is to put the fitted sheet onto the bed. (This isn’t a daily task — just an extra step after you’ve washed your bed linens.) It’s pretty hard to mess it up once it’s on since it has an elastic band to keep it in place, and there’s nothing to tuck in on the sides. The harder part is getting the top sheet in place. 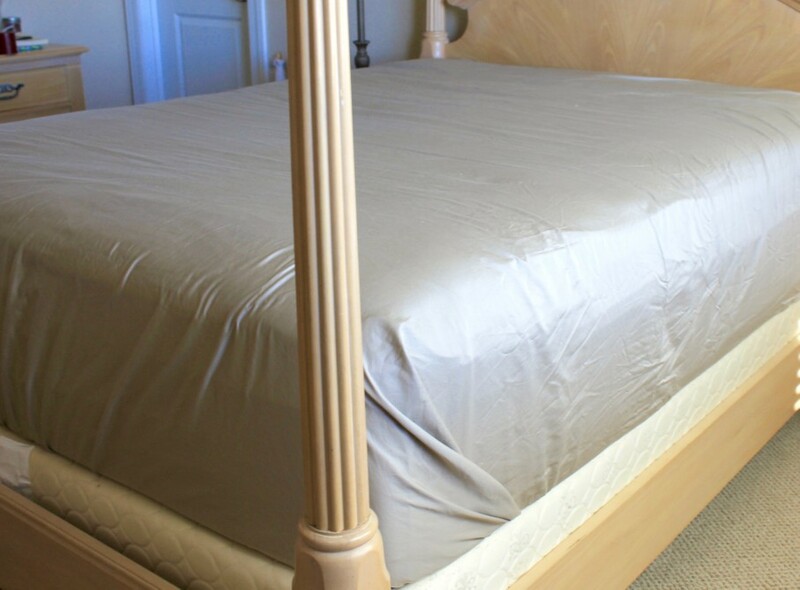 The best way to make your bed is to ensure that you have perfectly tidy sheets, as this ensures that you’ll maintain clean lines when your bed is finished, and the top sheet is the most important foundational step. 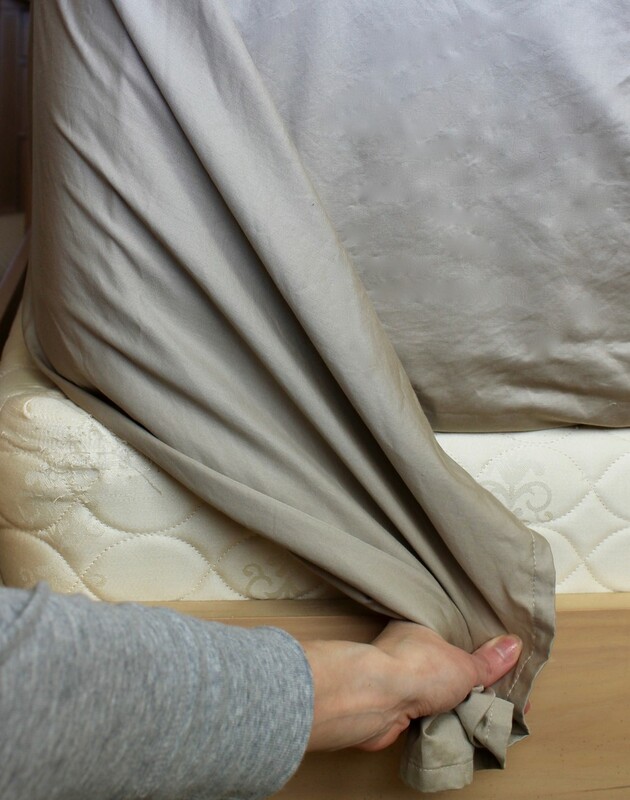 Put the top sheet onto the bed, ensuring that it’s even on both sides, and tuck it underneath the mattress (between the top of the box spring and the bottom of the mattress). 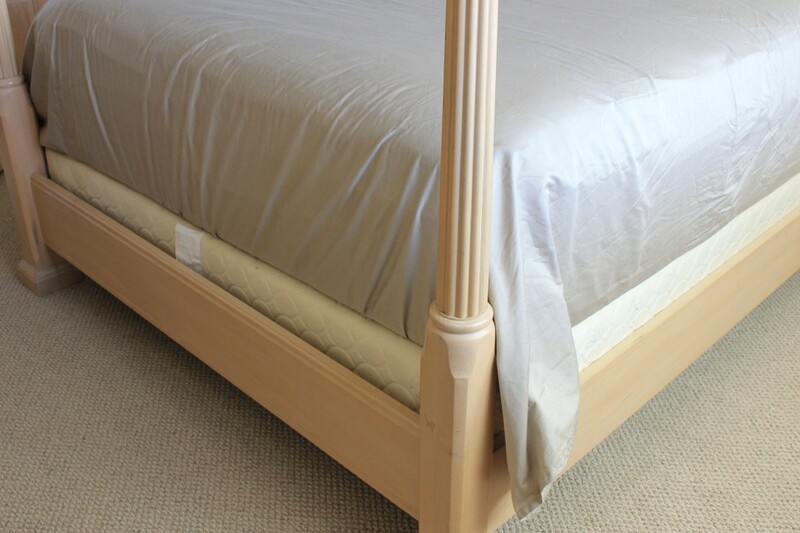 Once that’s secured in place, you’ll have two corners of excess fabric hanging from the bottom corners of the bed. These need to be tucked in so that you can’t see them hanging down beneath your comforter. 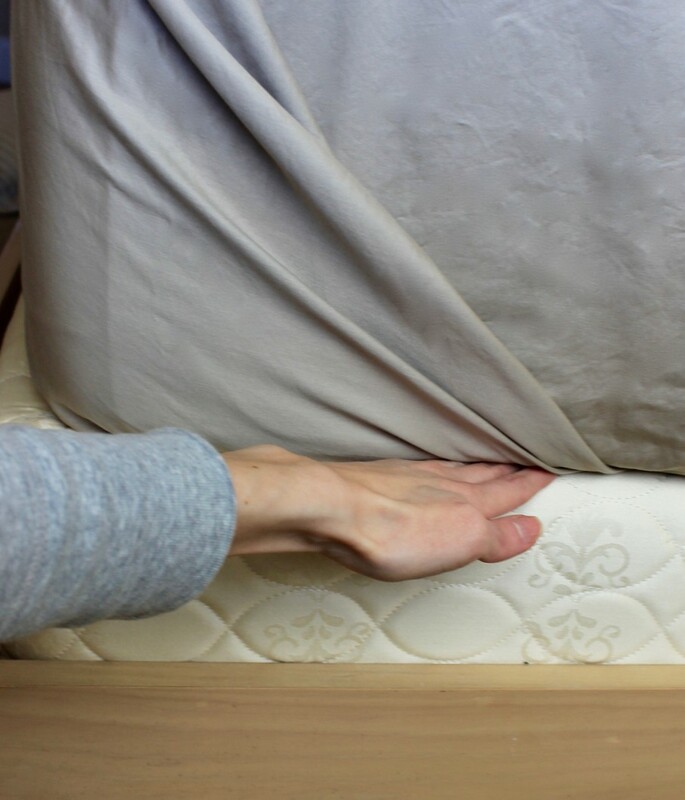 Grab the loose end and pull it in the direction of the head of the bed. 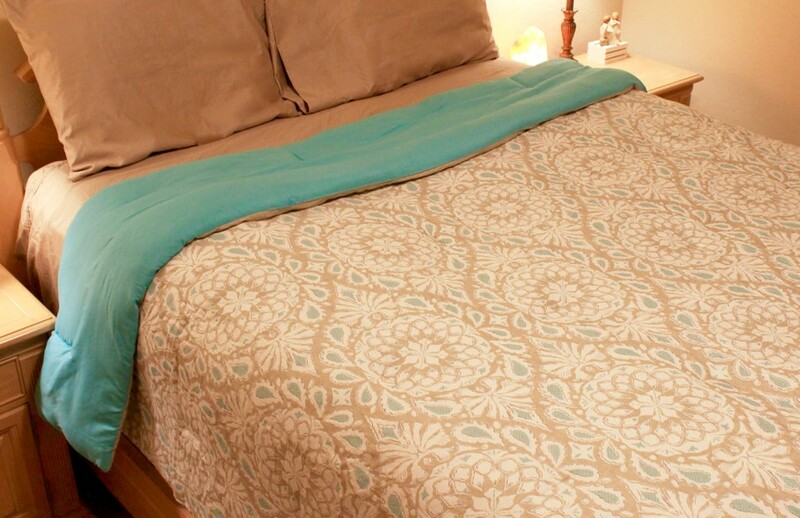 Next, tuck the excess fabric underneath the mattress. It’s easiest to do this by sliding your hand underneath to make sure that all of the material gets tucked away. Repeat on the other side of the mattress, and voila! You’re ready to move onto the aesthetic layers. This is the fun part since we’re starting on the visible outer layers that will make your room shine. Your comforter and pillows will give your room personality, and set the tone for the color scheme (in fact, you should decorate a bedroom around the comforter’s colors and patterns). When it comes to making a bedroom cozy, the comforter and throw pillows take center stage, so it’s important to layer them in a way that looks stylish, yet comfortable. 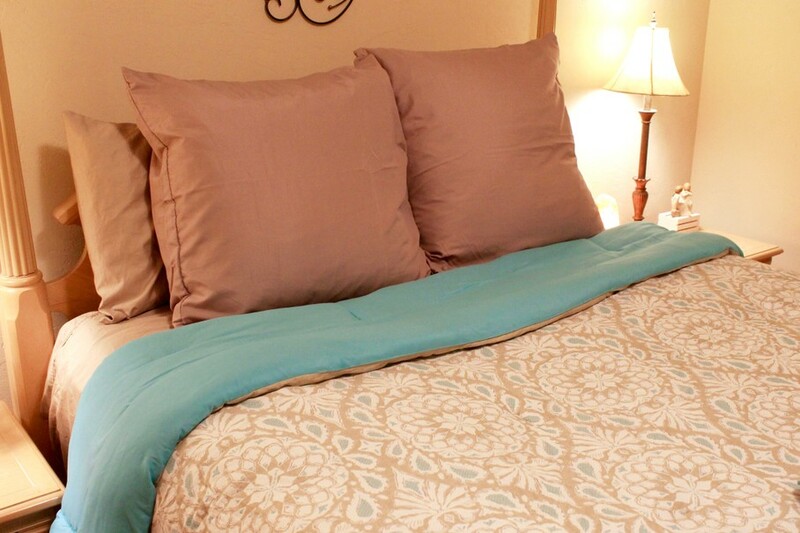 It’s best to leave about 8 to 12 inches at the top so that you have room for the final element: the pillows. When it comes to the right way to make a bed, pillows are an absolute must (and I’m not talking about the ones you lay your head on at night). Sham pillows and throw pillows in a variety of sizes make the bed look comfortable and inviting, and add an incredible amount of visual interest to what would be an otherwise very boring display. The varying pillow heights mixed with complementary colors and patterns truly take the bed from “boring” to “breathtaking” in a few simple steps. 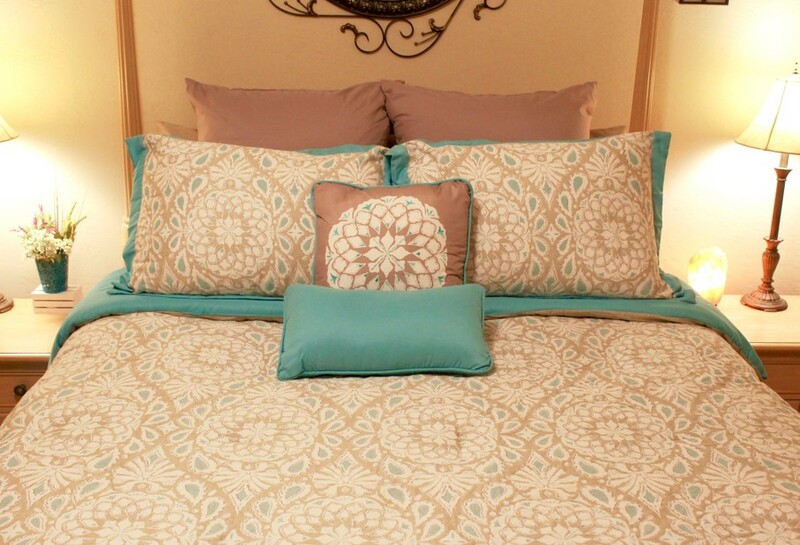 It’s best to have four sham pillows: two European shams (rectangle-shaped) and two standard shams (square-shaped). Place the square-shaped pillows in front of your sleeping pillows, and then place the rectangular-shaped pillows in front of the square-shaped pillows. After you have all of your larger pillows in place, add a few throw pillows to complete the look. 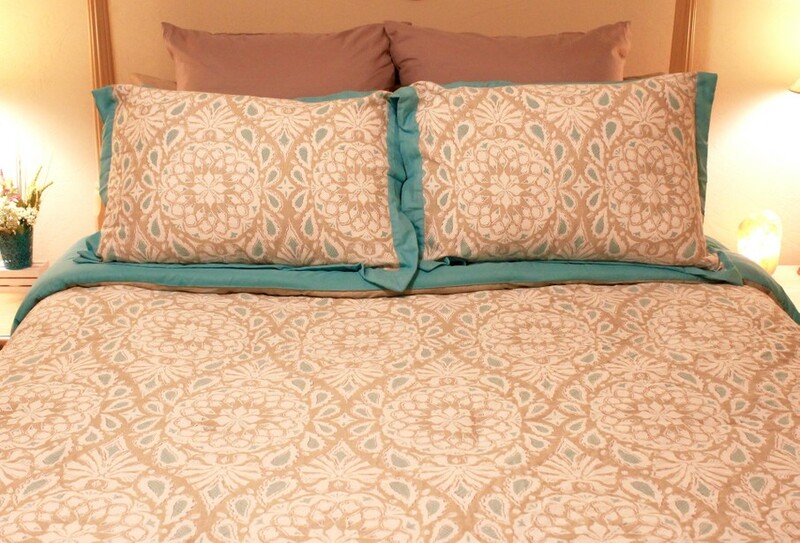 On this bed, two different size throw pillows are all it needs to obtain that magazine-worthy look.